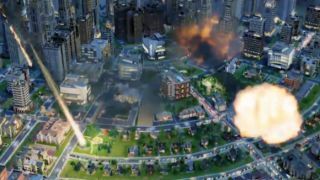 Electronic Arts has announced that its beleaguered SimCity PC game will receive its first major update on Monday evening, bringing fixes for a host of issues that have plagued the game since its launch in March. The online-only strategy game suffered a disastrous release period as EA's Origin servers failed to handle the demand, forcing gamers to abandon their virtual cities just as they were getting started. While the server issues stole most of the negative headlines, there were also a host of bugs and processing issues that limited players' enjoyment of the long awaited simulation. The large update should mean cities will now process properly, while EA said the random appearance of air pollution and unexpected influxes of tourists, among other problems, will be nuked. The giant list of amendments, which also includes a fix for players who were getting struck by natural disasters too often and brings mansions for city mayors, appears on the EA Forums. The update does mean there'll be some server downtime - yes more downtime - for a few hours on Monday, while begins at 9pm UK time (4pm ET in the US). EA wrote: "Because this is our first significant Update, we wanted to inform you in advance that we'll be taking down all servers for a few hours while these changes are being issued. Choosing a time to issue a major Update is never easy, but after looking our peak player time, we've concluded 1pm PST is the best window for us to make these improvements. As you can see from the list above, the wait will be worth it."